I hope you love the gorgeous ‘Clara’. 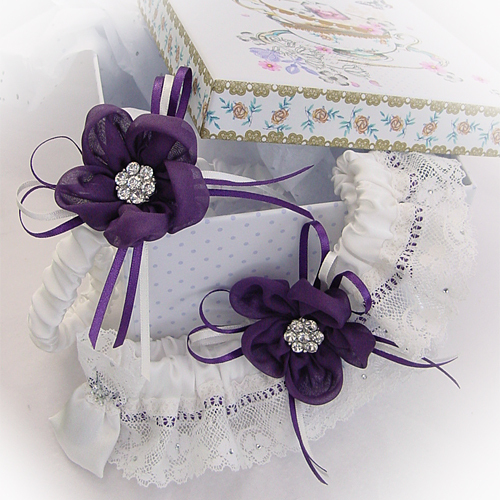 Choose to have your personalised garter set embroidered with your names and wedding date inside! 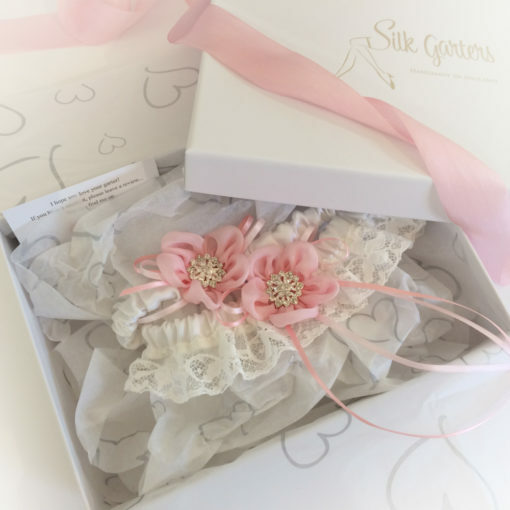 Look at the delicate handmade flowers in pure silk chiffon each petal has been carefully stitched. 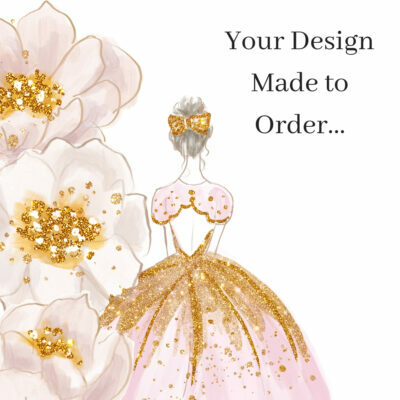 I have several chiffon colours for you to choose from, please let me know what you’d like. Brides have loved both the delicate pink and a striking aubergene I’ve made here. 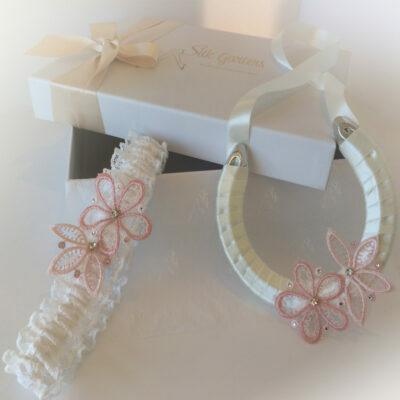 Let me know your names and wedding date and I’ll embroider them inside on the pure silk band, then edge it in this beautifully soft cotton lace. 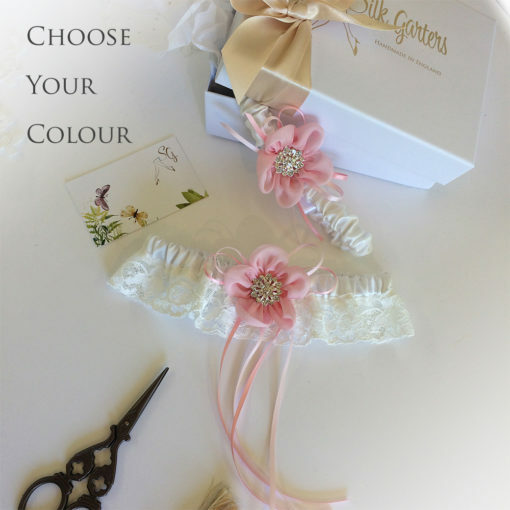 Note: The lace I’ll be using is shown in the pink pictures, this means there is no ribbon threaded through the lace.